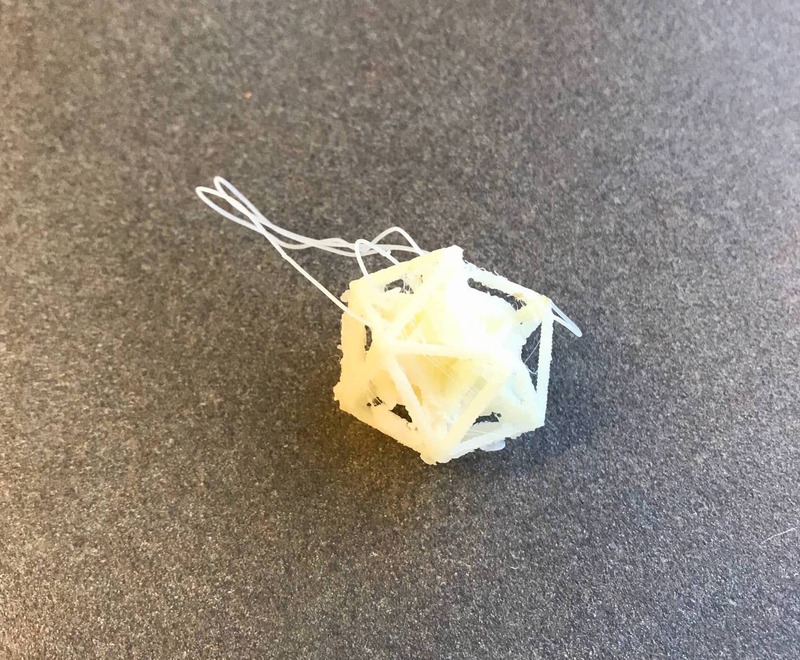 This week's assignment was to test the design rules of our 3D printer, design and print an object that cannot be made subtractively, and 3D scan an object. 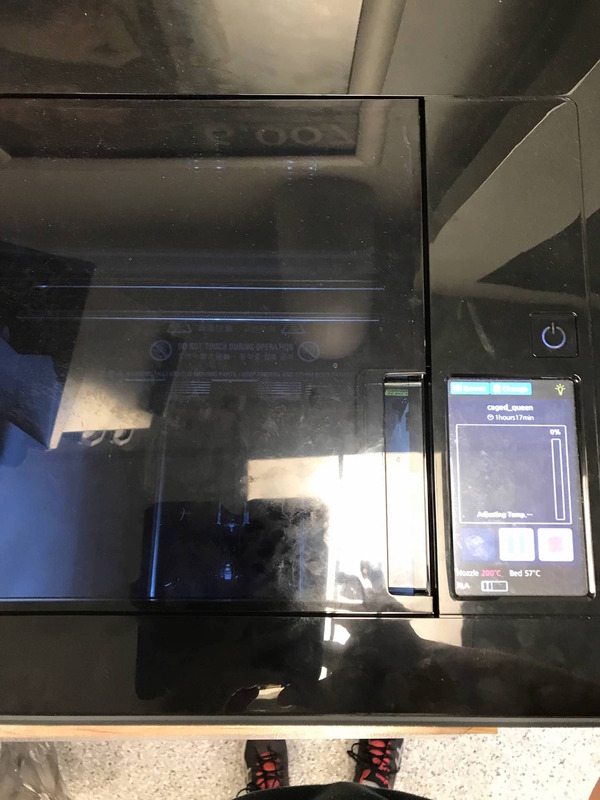 Another student, Nikki, from the EECS section, downloaded and printed Amanda's 3D printer tolerance test file and sent it to one of the two Sindoh 3DWox DP200 printers in EDS. 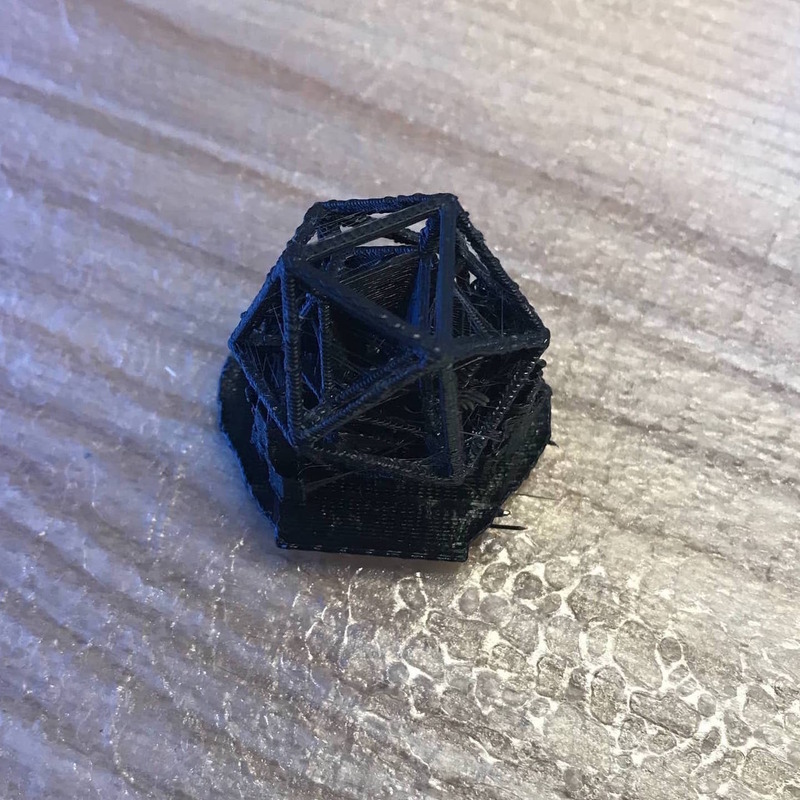 Here is the result of the print on the 3DWox. We noticed that the printer couldn't handle printing the sharp peak, as it stopped before coming to a point. Characterizing the 3DWox 3D printer. I am intrigued by geometric/mathematical shapes, so I designed an object based on an icosahedron. Its inner and outer sections are icosahedra, and the corresponding corners are connected. I designed the structure in Rhino. From Rhino, I converted it into a mesh and exported it as an STL. 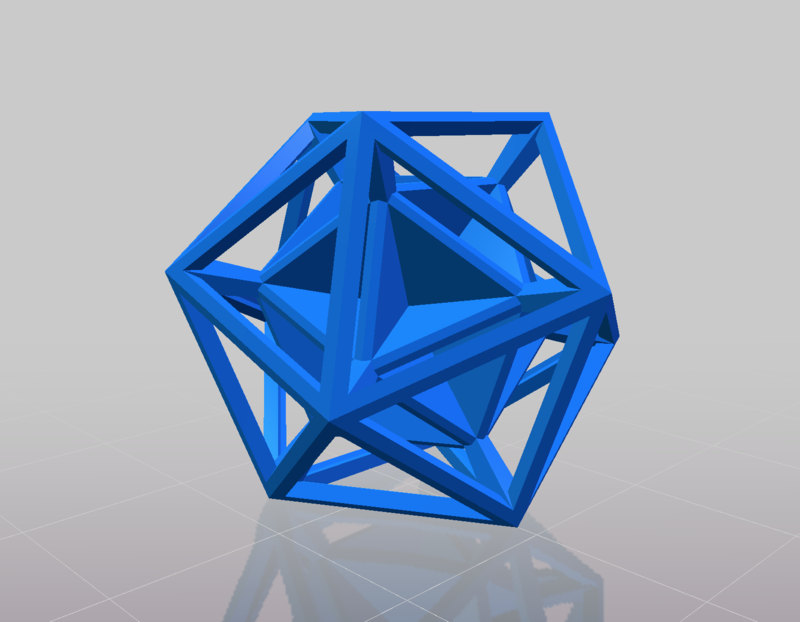 The nested icosahedron object I designed in Rhino. 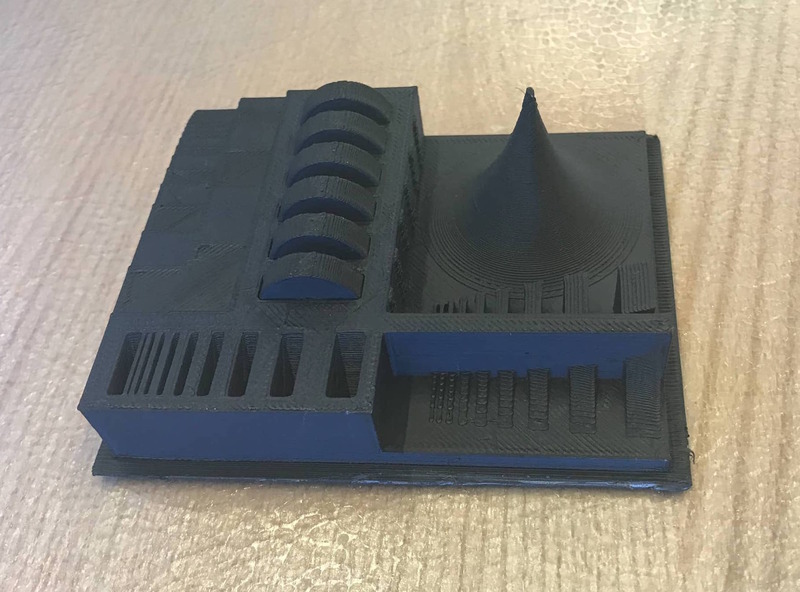 I printed the structure both on the Sindoh 3DWox and on the Stratysys. It came out well on the 3DWox, although I did have to remove a lot of supports after the printing. The print on the Stratysys didn't turn out as well. 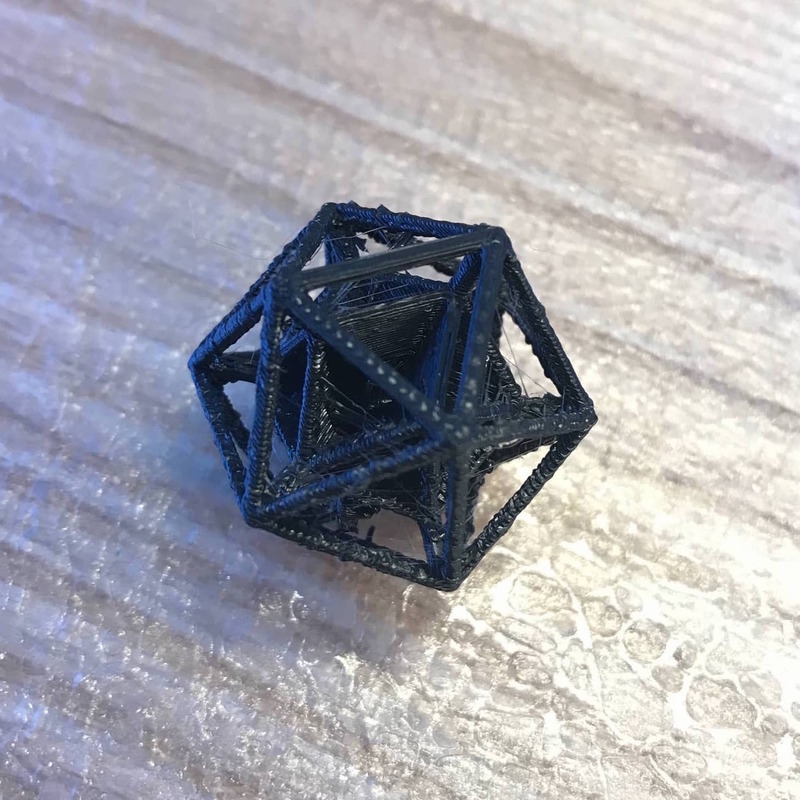 I don't know exactly what went wrong, but one side of the outer icosahedron was not printed, and some strings were attached from the object. 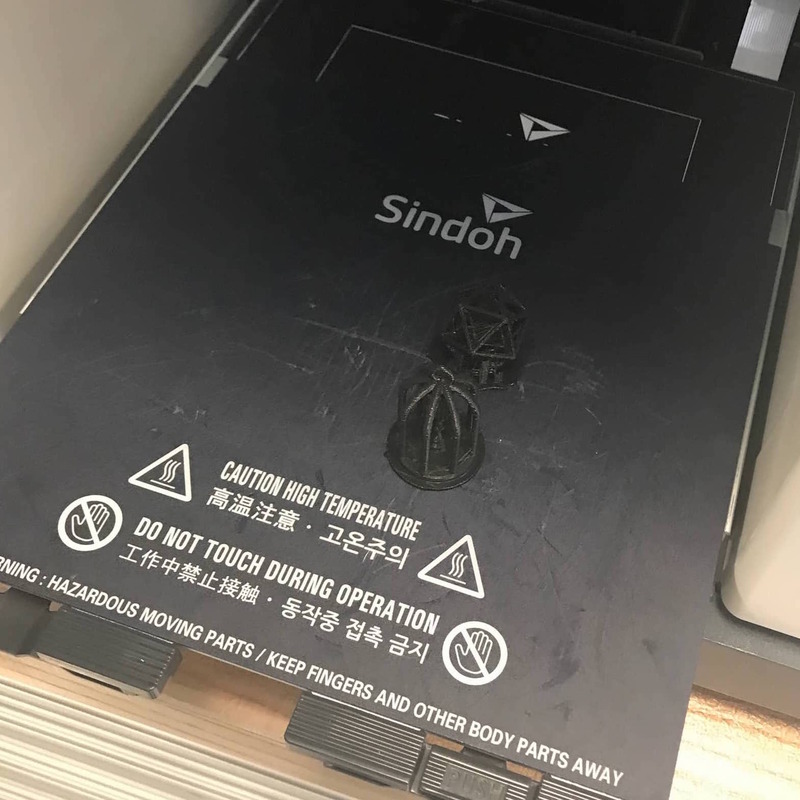 Printing on the Sindoh 3DWox. The print on the Stratysys didn't turn out as well. 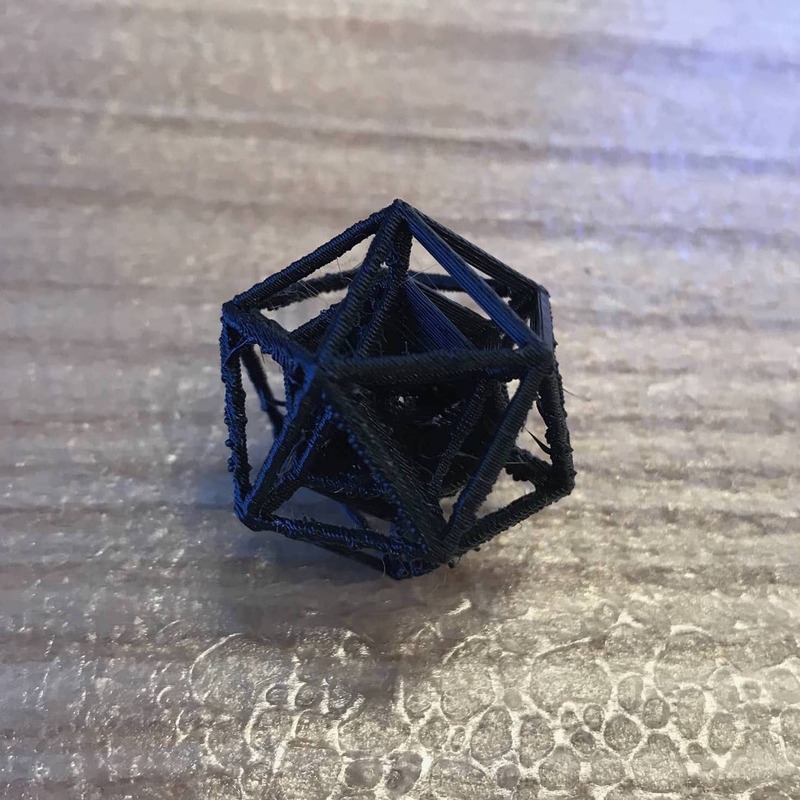 I don't know exactly what went wrong, but one side of the outer icosahedron was not printed, and some strings were attached from the object. The print from the Stratysys. For 3D scanning, I attempted to use the Sense 3D scanner. I first tried to use the Sense that was connected to the desktop computer in EDS to scan a roll of tape, but the software completely froze when I said I was done scanning. Instead, I connected the other Sense scanner to my own laptop. Based on the comments of other students about how terrible the Sense scanner is, I decided to scan a larger object than a roll of tape and tried to scan my water bottle. 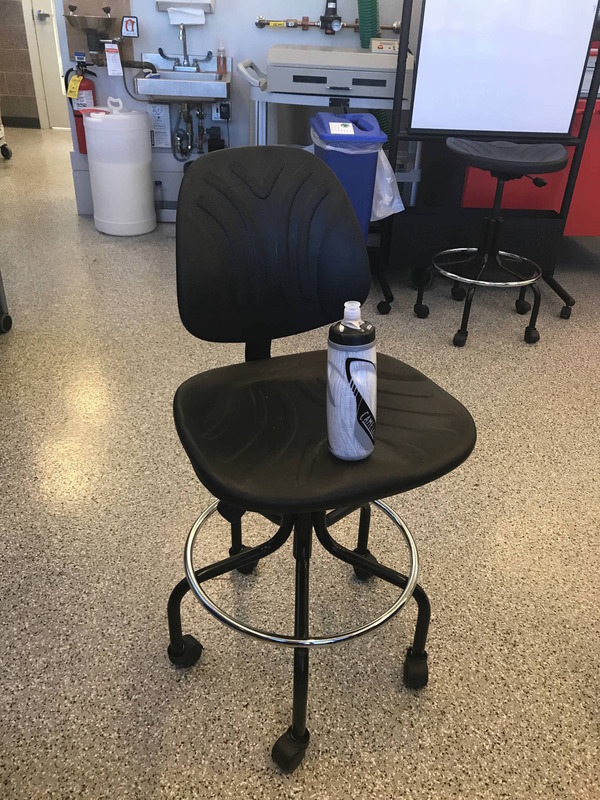 I placed my water bottle on the edge of a chair and slowly walked around the chair, aiming the scanner at the water bottle. It worked much better than I expected. 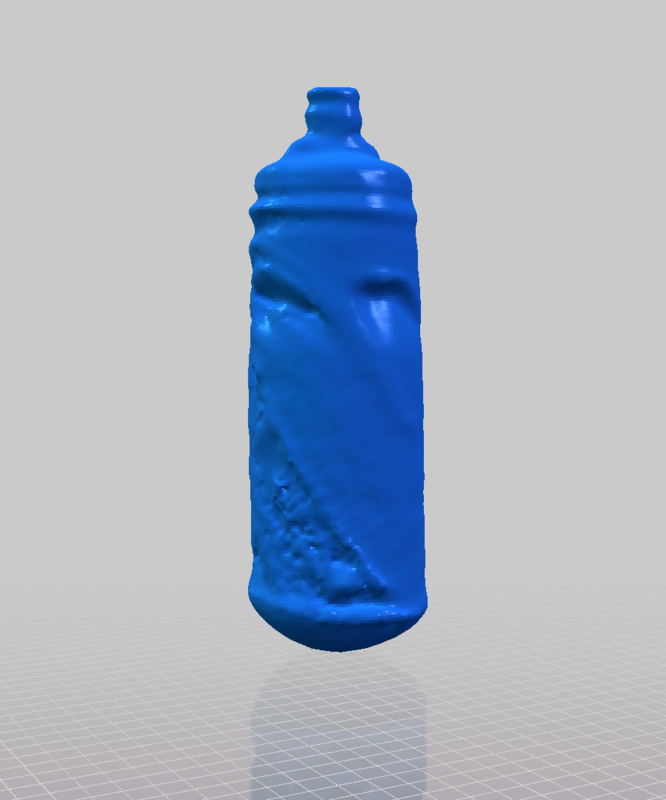 After I erased some parts of the seat of the chair in the Sense software and ended up with a decent 3D scan of my water bottle. The bottom of the water botle isn't quite right, but the top and middle sections actually appear quite accurate. The setup and result of scanning my water bottle with the Sense scanner.